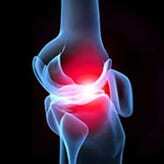 Tell Me About Stem Cells and Treatment - Piedmont Physical Medicine & Rehabilitation, P.A. Could you imagine your body having the inability to heal itself after tearing muscle tissue? Or the inability to replenish and replace dying and dead skin cells. Well that’s where stem cells come in. They do that and so much more. A stem cell is unique to any other cell in your body because of its ability to renew and regenerate. They don’t carry out specialized functions like brain, red, or white blood cells, but they are a vital component in repairing and replacing damaged or torn tissue. After all, a cluster of stem cells is where the formation of every organ and tissue in your body came from. Stem cells start in the embryo. At this point, they are only capable of renewing and recreating through differentiation and cell division. 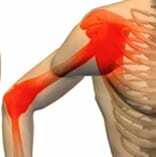 Sometimes they’ll be inactive for a long while, but eventually they are directed toward a certain job, either to create bones, muscles, skin, the brain or the heart. They have the ability to create ANY type of cell in the human body. Whenever a stem cell is taken from a child or adult and is genetically modified to mimic an embryonic stem cell, we would categorize it as an induced pluripotent stem cell. There are two different kinds of stem cells: human embryonic stem cells and somatic or “adult” stem cells. Human embryonic stem cells derive from human embryos. These are the stem cells we discussed earlier. Their ability to generate any kind of cell in the body makes them highly sought after for stem cell research and testing. Embryonic stem cells have demonstrated the potential to heal damaged tissue and cells from disease and injury. It is a powerful, naturally produced, self-healing mechanism. On the other hand, adult stem cells are mature cells and already designated to perform certain tasks, making them more limited in their functions. They can only be found in certain tissues of our bodies and are generally only applicable for healing in the area in which they derived from. 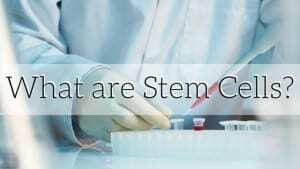 Those who seek stem cell treatment receive adult stem cells. What Does This Mean for Healthcare and Treatment? Stem cells have been a fascinating topic for doctors and researchers. The ability for these cells to stimulate natural repair within the body is a little miracle in itself. The last two decades have seen the most development in stem cell research. It was only in 1998, that Scientists from the University of Wisconsin were able to isolate and grow the first stem cells from human embryos. The goal for stem cell treatment is for the cells to replace dead cells in a damaged area so that they can divide repeatedly and form properly functioning tissues. Because of growing research, those affected by leukemia, varying blood disorders, eye damage or brain damage have found solutions and relief in stem cell treatments. Debilitating conditions like multiple sclerosis, stroke and spinal cord injury are still undergoing early stages of clinical trials to see how stem cells can aid in their conditions. For those who are suffering from injuries and bodily pain, stem cell treatment could be an option for you. There are big hopes for stem cell treatment to cure and aid in life-threatening diseases, but it for now, it works effectively for chronic pain. Most who come to our facility and receive stem cell treatment are not disappointed with their results. In 2013 and 2014, 80% of our patients who underwent stem cell treatment reported that their pain lessened by 50% or more. We’ve treated musculoskeletal pain, degenerative disc disease, and relief and prevention for osteoarthritis with stem cell treatment. 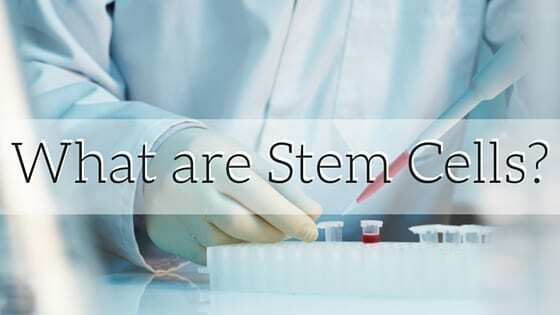 There are many options when it comes to treatments for each of these conditions, but stem cell treatment may be something for you to seriously consider. It’s safe and effective. If you understand and are comfortable with what the treatment involves, what changes your body will go through and the process of stem cell regeneration, then it deserves consideration in your journey to relief. Simply imagine how much less stress, pain and worry you would be handling on a daily basis because of effective stem cell treatment. Research continues to grow for science of this kind. With such good results from stem research already emerging, we can only expect better things to come. Some even suspect that with more knowledge and testing, stem cells could even be used to increase life expectancy and cure diseases of all kinds. But for right now, we’re glad to have it for pain relief and healing purposes.